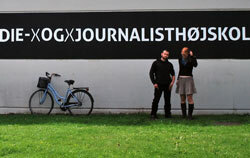 Young, fresh and on-the-ground: Euroviews is a European journalism hub for young people by young people. With 17 reporters in 5 different countries we aim to bring you an overview of all the challenges that ‘Generation Z’ will face. Whether it is the almost unstoppable rise in youth unemployment or the spread of nationalism across our continent, Euroviews is the place for our generation to find out what it will mean for us. Euroviews is the result of a 25-year-old cooperation between Utrecht’s Journalism School and the Danish School of Media & Journalism. This mix of cultures as well as our reporters twelve different nationalities means we are uniquely placed to offer an overview of the issues we face.